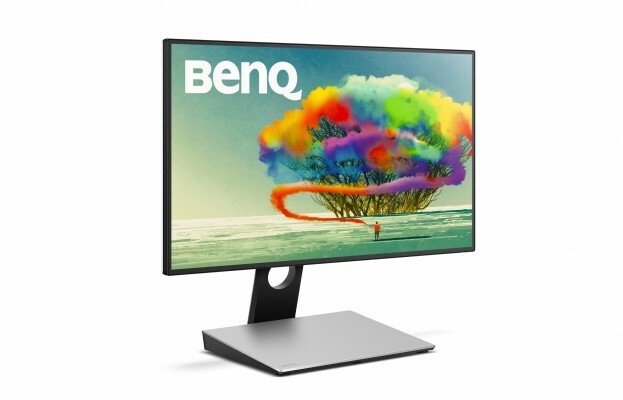 The BenQ PD2710QC is the newest in the company’s PD series, that indicates it should provide functionality and features aimed at those who need precision and solid color support. Clearly, that’s where BenQ has focused with the 27in LED display, which covers 100 % of the sRGB color gamut and provide Technicolor certification to accommodate Hollywood and other constituencies in the media and entertainment industries. The intriguing aspect of this display is undoubtedly the USB-C hub, which company has not yet fully detailed. BenQ says that the docking station will enable for the data transfers, laptop charging, broadband connections, and video and audio transmissions over a USB-C cable which also doubles as the display connection. That should keep the clutter on your desk to a minimum. The PD2710QC also supports DisplayPort 1.2 and feature an HDMI 1.4 port. All of this is wrapped into a thin-bezel design with a space gray metal architecture, VESA wall mounting support, and integrated speakers with a total capacity of 2 W and convertible stand that allows you to adjust the height in the range of 130 mm and transfer the display from landscape mode to portrait. BenQ didn’t announce exact pricing or availability timeframe for its PD2710QC. Currently the company sells the PD2700Q display for $340, which isn’t too much for a 27in QHD IPS monitor. While a USB-C hub is clearly a premium specs, it remains to be seen how much more BenQ will charge for this display.